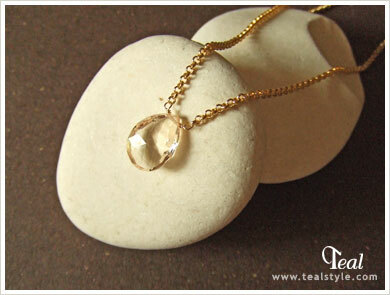 Faceted light pink / peach beryl 14K gold filled medium rolo chain necklace with handmade ring closure. The beryl family of gemstones includes aquamarine and emerald. This piece is one of a kind.